Summer is upon us and so is festival season. I contributed to a photo shoot in beautiful Clovelly. This is my take on a bouquet for a festival inspired wedding. 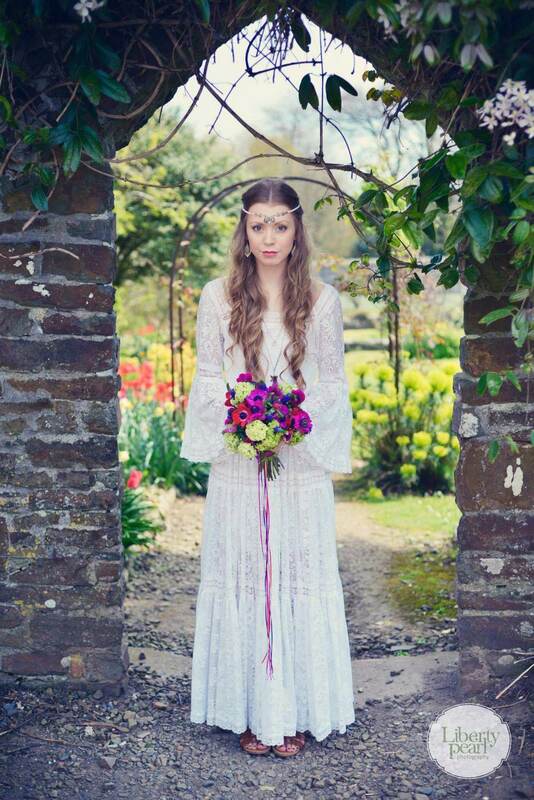 Boho chic and bold colours, with Anemones, Veronica and lime green Viburnum. All tied together with trailing jewel coloured ribbons. Photography by Liberty Pearl , styling by Blue Fizz events. Autumn/Winter home wares for Offshore Blooms. Hammamas:- The clever cotton towel. Offshore Blooms is a fantastic florst and homewares store in Braunton, North Devon - a gorgeous and inspiring part of the South West coast. Owner Kelly studied fashion design and worked in display for many years. With this creative background she became interested in flowers - and the rest as they say is history.